I would be interested to find out what you consider to be Messianic and non-Messianic prophecies. For example, when Jesus is recorded in Luke 7:19-20 as responding to John the Baptist’s followers’ question “Are you the one who was to come…?” He quotes Isiaiah 29:18-19, Isa 35:5-6, Isa 42:18 and Isa 61:1. However, given the last Davidic heir was executed it was not a realistic expectation (enter supernatural wishful thinking of divine intervention) that a mortal king of the line of David would arise to release the Jews from foreign oppression; which is all the messiah was to do, free them from subservience to foreign rulers and re-establish the (independent) kingdom of the chosen people. 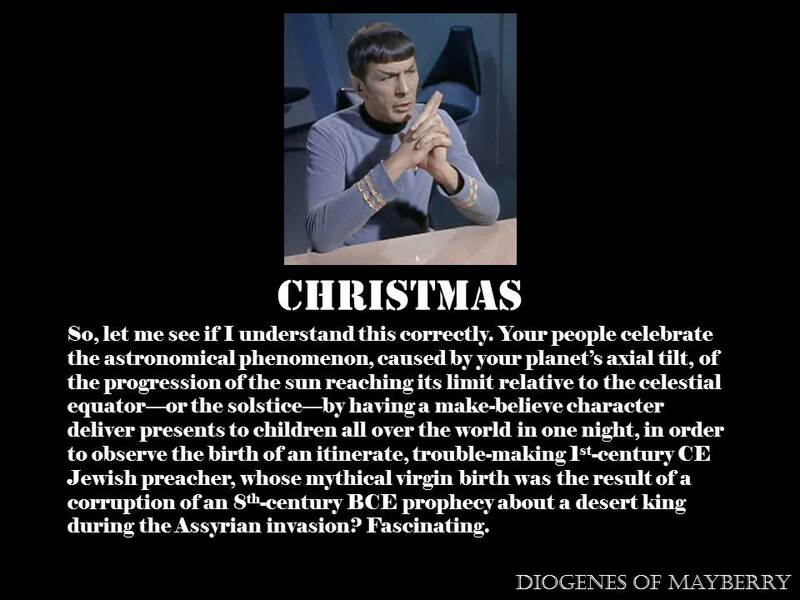 Hence, why all the cherry-picked Hebrew Bible references to force-fit Jesus into the narrative: born in Bethlehem (Micah 5:2, which is not a prophecy for the coming of Jesus 800 years later, but as noted above in the original Spock meme, it also contextually belongs to the period of the Assyrian invasion and hopes for the coming of a strong, warrior king); of the House of David (the complicated and contradictory lineages listed in Matthew 1 and Luke 3); etc. Second, the book of Isaiah, over three parts, are references to BOTH the Assyrian and Babylonian invasions. While your first citation, Isaiah 29, is within the sections prophesying for a messiah to free Israel, again it must be understood contextually in the times they were written: applying to deliverance from the Assyrians 800 years before Jesus, and not calling for a divine sacrifice. Isaiah 35 shifts to Babylon, written (post hoc) after the Persians had defeated the Babylonians (about 300 years AFTER the events described in the first third of Isaiah), and discusses the (already happened) return of the faithful to Jerusalem. Isaiah 42 likens Cyrus the Great (of Persia!) as the messiah, for freeing the Jews from Babylonian exile and allowing them to rebuild the Temple in Jerusalem. Now, what Christians, conveniently, overlook is that the Malachi passage is NOT a prophecy for the coming of Jesus or a messianic figure. Malachi 4:5-6 (“Behold, I will send you Elijah the prophet before the coming of the great and dreadful day of the Lord. And he shall turn the heart of the fathers to the children, and the heart of the children to their fathers, lest I come and smite the earth with a curse.”) Additionally, the Hebrew Bible, again conveniently, was rearranged in the Christian Old Testament to move Malachi from its place in the middle of the Jewish canon to the end of the OT so that it would preface the start of the New Testament and the manufactured “coming of Jesus as foretold.” Except it wasn’t Jesus who was foretold.